As algorithms get more and more complex, we are fast approaching the time when machines will have some semblance of consciousness. Google has done a great job tweaking their formula so that black hat SEO techniques no longer work, and in fact they now can cost you dearly. Every where you look the professionals are recommending that you make a strong move towards content in your marketing efforts, but that can be a full time job in itself. You have to write rich content that other people are going to be interested in reading, and then you have to either have a huge fan base to share it with or pay astronomical fees in order to get your post in front of people. 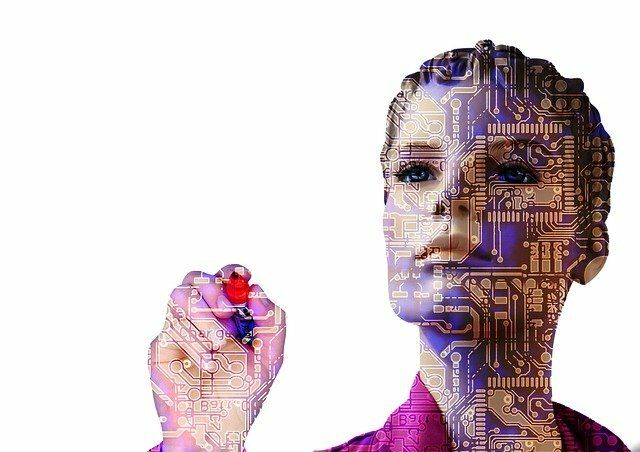 There are many more aspects to a perfected digital marketing plan and SEO techniques, but when you distill it all down to its essence we are really attempting to appease these primitive artificial intelligence programs. With that thought in mind, it makes a lot more sense why one would want to focus on a data rich and stimulating environment. If a machine ever does develop consciousness the last thing they want clogging up their environment is a bunch of spammy repetitive garbage. Good information is literally priceless, it can make or break entire nations. Its impact would be exponentially more important to a being that lives within it, possibly even feeds off of it. So write as if you are trying to please a higher being, even if you just use it as a helpful motivational technique as it has been proven to work already with religion. If you have ever thrown your cell phone and broken it because it was frozen, or thrown the remote control at your TV, then you can relate to how annoying it is needlessly wait. If there is something that is broken it should either get fixed ASAP or get replaced. This is important when you are creating your website as well, to Google, algorithms, and everyday users. These little lags that get reported when you do a speed analysis may seem inconsequential but again you need to think beyond what we are used to. When an algorithm is reviewing your website it is important that it can retrieve the information that it is looking for as quickly as possible. Anything that is slower then average, or just plain buggy, will and should be treated as inferior. Make sure that you are standing tall to both the machine when it runs its reports on your service speed as well presenting yourself in an aesthetically pleasing manner. Compress your high definition visual images so they are not taking forever to load and make sure they are mobile friendly. Lastly, stop worrying about all those back links because these advanced algorithms can spot the scam from a mile away. It is a lot like those people on Facebook that take pride in having thousands upon thousands of friends. Then, when it comes to the real world, the only person they actually interact with is their cat fluffy. Quality links that are relevant to your site are all that matters. Try to focus on a few tough to get ones that will really improve your status, through pagerank and from a social stand point. Trust me, it is tough for everyone to get away from the old and easy techniques in order to boost your websites SERP. But time is moving on and these technologies are continuing to evolve rapidly. Within the next few years we will be interacting with vast machine intelligence’s on an everyday basis, and it is better to just learn how they think and respect it then to endlessly try to manipulate the system.